Eid-ul-Fitr 2012 Mubarak To Everyone! So the much-awaited Eid-ul-Fitr is finally upon us! The Ramadan Kareen 2012 has drawn to a close, marking the end of the 1433rd Ramadan according to the Islamic (Hijri) Calendar. "Eid" in Arabic translates to "Celebration" or "Festivity", while "Fitr" means "Breaking" (the fast). Hence, Muslims from all around the world celebrate the happy ending of the Holy month of Ramadan after 30 days of fasting. They share this joyous occasion with friends and family, and forget their worries and grievances for at least one day so that everyone can join in. Therefore, here at MBT, on behalf of the STC network and its team, Mohammad Mustafa Ahmedzai, Nida Zaidi, and Me, we'd like to wish all our readers a very happy and joyous Eid-ul-Fitr! 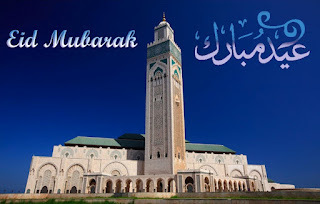 The Eid day doesn't involve any fasting, or other religious activity as such, apart from a small prayer in the morning, with which the day officially starts. Indeed, fasting is forbidden on this day, because it has been reserved as a day for celebration. Muslims wear clean, preferably new clothes, and after the prayers, they visit their relatives and loved ones, or hold family congregations to share the celebrations with their family and friends. It is a great source of happiness for people, because this is the time of the year that is reserved for family alone, and not for business or work. Therefore, in Muslim countries, it is a public holiday, so that people can easily arrange to meet up with their families. The preparations for Eid themselves are no less joyous. 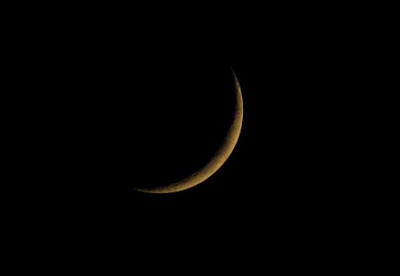 As soon as Eid-ul-Fitr is announced after the sighting of the moon, people start heading out to the markets on the eve of Eid, or "Chaand-Raat" (Moon night, because it's when the moon is sighted signalling the onset of the next lunar month). Marketplaces are filled on this night with people who want to do some last-minute shopping ahead of the big day. In fact, by the this post publishes, you'll probably find me in a market, like so many other people :).